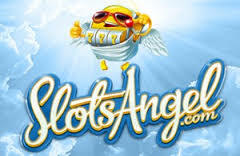 It’s not exactly the first thing you think about when you imagine amazing gaming, but Slots Angel bring you an angelic looking site; where halo’s and wings are a must. 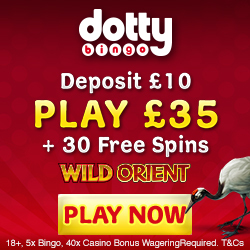 Of course Mobile Bingo Bonuses are a pretty holy bunch and we can’t resist the call of over 300 games. It’s not just featured favourite slots like Starburst and Rainbow Riches, you also have progressive jackpots and table casino games. To enrich your gaming experience, you’ll find a number of these games are available on mobile and tablet devices. So why stay indoors, simply grab your phone and head outside; best reason to walk the dog we’ve ever heard! Keep updated on Facebook and Twitter. If you decide to register on Slots Angel and make a 1st deposit, you’ll be delighted to hear that you’ll receive a 100% cash match bonus up to £25 with promo code ANGEL. To give you an example of that this could mean for you, if you deposit the maximum £25 you’ll have £50 in your account to game with. Slots Angel will also give you 25 bonus spins on featured slot game Magical Forest. Because Slots Angel is such a new site, they haven’t quite detailed the regular promotions on their pages yet. We now that they are going to be added soon and once we know more, we’ll be eager to tell you all about them. For those of you who love making friends online, or chat with your mates about the great new things in your lives; why not tell them about Slots Angel. 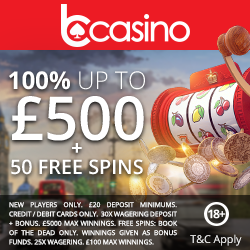 For each person you refer who registers and deposits, you’ll receive £10 gaming bonus and there’s a 15 referral limit per month. Loyalty is important to the little cherubs over at Slots Angel, so they offer a loyalty scheme where you can earn points simply by playing. The more points you have the higher the loyalty level, with each offering bigger and better bonuses such as bonus spins, cashback, extra loyalty points and monthly bonuses. There are 5 levels which include wings, halo, guardian, supernatural and archangel. If you get your news from social media sites, then check out Slots Angel’s Facebook and Twitter pages for the latest on their games and promotions. Slots Angel representatives can be accessed via email and they aim to respond within 72 hours. There’s also an FAQ section which offers the answers to more general questions. They accept the usual Credit and Debit Cards, Entropay, Paypal, Neteller and Paysafe Cards. If you’re ready to try this heavenly site and enjoy the 1st deposit bonus, simply head over to Slots Angel.